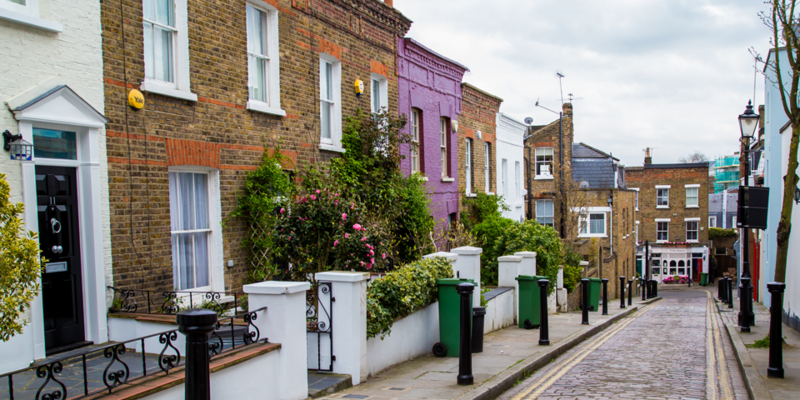 Whether you’re a staunch remainer or avid Brexiteer, there’s no denying that the uncertainty around when the UK will leave the EU, and the terms under which it may happen, is causing property market jitters. EU leaders voted last week to extend the UK’s Brexit deadline again, this time until 31 October. However, the UK could still leave the EU before then if Theresa May’s deal wins enough parliamentary support. The prime minister has so far failed to secure enough votes from MPs to push her deal through, but cross-party talks are continuing in a bid to break the deadlock. If you’re unsure what to do about buying a property or remortgaging in the run-up to Brexit, call Which? Mortgage Advisers on 0800 197 8461 for a free consultation. Alternatively, fill in the form at the bottom of the article and a member of the team will call you back. What might a no-deal Brexit mean for house prices? Many business leaders and financial experts have expressed concerns about the potential consequences of leaving without a deal. In September 2018, Bank of England governor Mark Carney warned that leaving the EU without a deal could send house prices tumbling by a third, and in February this year he added that UK growth would be ‘guaranteed’ to fall in the event of a no-deal Brexit. We’ve analysed market activity before and since the Brexit referendum to bring you the insider’s guide to what experts from the estate agency, building, mortgage and buy-to-let sectors think will happen over the coming months. House prices did stagnate for a while following the referendum in June 2016, as you’ll see in the chart below. This could well have been down to the usual pattern of prices growing in spring and plateauing over summer, which we also saw in 2017. But, with Brexit looming ever closer, house prices suffered a bigger post-summer dip than usual in 2018, dropping from a peak of £232,797 in August to £230,630 in November. They’ve suffered further falls since, with the latest ONS House Price Index reporting the average UK house price as £226,234 – the lowest it’s been since April last year. Looking at year-on-year house price change over the longer term can be another useful way of understanding what the market’s doing. The chart below shows what the annual rate of change has been each June since 2014, and we’ve added figures for February 2019 (the latest month available from the ONS) so you can see the most up-to-date info too. As you can see, the rate of house price growth plummeted in the year after the referendum everywhere in the UK except Scotland. However, with Brexit looming closer, Scotland has now become the first UK nation to see an actual year-on-year decline (rather than decreased growth), with house prices falling by 0.15% compared to the same month in 2018. Growth remains very weak in England, too, at just 0.4% – though many argue that the house-price slowdown is simply a long-overdue market correction, and could open doors for first-time buyers who’ve been priced out in recent years. Wales (4.14%) and Northern Ireland (5.45%) are faring relatively well for year-on-year house price growth at present. Another way of judging the health of the housing market is to look at transaction volumes, meaning the number of property sales in any given month. A lower number of sales can indicate market uncertainty, which is often triggered by events such as an election or a referendum. As you’ll see in the graph below, the referendum didn’t seem to have much of an impact on transaction figures. The big spike you can see was caused by the April 2016 introduction of a 3% stamp duty surcharge for buy-to-let investors and people buying second homes, with thousands rushing to buy just before the change came in. After the April transaction crash, numbers slowly crept up again. According to HMRC’s most recent seasonally adjusted figures, there were slightly more house sales in February 2019 – 101,780 to be exact – than in the same month the year before (99,060). The chart below shows that it’s taken people a lot longer to sell their homes recently than in previous years. In January, the average time for a property to go under offer shot up to 77 days, the highest on record. It fell to 71 days in February and then 67 in March, both still slower than in previous years – and many commentators believe this is due to nervousness around buying a home in the run-up to Brexit. Stock per branch was also up year-on-year, from 45 in March 2018 to 48 in March 2019. The charts above show us what’s already happened, but what lies ahead? We spoke to a range of industry experts to find out what they believe the future holds for the UK property market, both before Brexit and beyond. Here’s what they said. David Blake of Which? Mortgage Advisers says: ‘The political situation may be in turmoil but it’s important that buyers and homeowners don’t panic or make any rash decisions. ‘I’m sure many people are waiting until we know more about whether the UK will leave with a deal, but this could go on a while and it’s tough putting your life on hold for an unknown. For free advice on whether you should remortgage and a recommendation on the best deal for you, call Which? Mortgage Advisers on 0800 197 8461 or fill in the form at the bottom of the article and they’ll call you back. Kate Faulkner, housing expert and founder of propertychecklists.co.uk, says: ‘We’ve definitely seen a stagnation in the market over the last year in areas such as London, the South and East (which had all overheated) and this slowdown has spread to other areas over the last few months. Mark Hayward, chief executive, NAEA Propertymark says: ‘Brexit is undoubtedly causing uncertainty in the housing market, which in turn affects sentiment and decision-making. Chris Norris, director of policy and practice at the National Landlords Association (NLA), says: ‘The issues troubling most landlords are the status of non-UK, and in particular EU, citizens, given their responsibilities to police the Government’s Right to Rent policy, as well as the overall impact that divergence [Brexit] will have on the stability of the housing market. Stewart Baseley, executive chairman of the Home Builders Federation, says: ‘Unlike the wider housing market, where transactions have dropped considerably from the historical norm, the new-build market has remained strong in recent months – a trend we expect to continue. As it stands, the only thing that’s clear is that nothing is clear, and you’d be justified in having no idea whether now is the right time to buy, move, invest or remortgage. Which? Mortgage Advisers is an independent mortgage-broking service staffed by friendly experts who will be happy to talk to you, whether you’re ready to look at deals or just have a simple question about mortgages or property. Give them a call on 0800 197 8461 or fill in the form below if you’d like a free conversation about the best options for you. This article was first published on 1 November 2018. Copy, charts and quotes have been regularly updated since then to reflect newly released data and the current situation at Westminster.